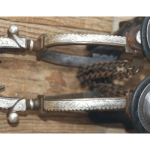 California Auction Company is hosting an antiques, collectibles and Western memorabilia auction on April 27 in Stockton, Calif. More than 400 lots will be on the block at this upcoming sale, ranging from rare coins from the Gold Rush Era to vintage tobacco signs and turquoise jewelry. For collectors who are unable to attend in person, all of the lots are listed on iCollector, where individuals can place their absentee bids on their favorite items. The California Gold Rush began in early 1848 when a carpenter found gold at Sutter's Mill in Coloma, Calif. Approximately 300,000 residents from Oregon, Hawaii and even Latin America then flocked to California. The gold-seekers were called "forty-niners" as a reference to the year 1849, and many found gold nuggets right off the ground. Later, gold was recovered from streams and riverbeds using simple techniques like panning. The equivalent of billions of dollars today was found in gold in California during those few years. Throughout that period, the most common circulating gold coin was the double eagle, or $20 piece. One of those coins is heading to the auction block and could become the next showpiece in your collection. This is a beautiful coin with an Actual Gold Weight (AGW) of 0.9675. A $10 Liberty Head gold coin is also heading to the block (Lot #283a). This collector's piece was the largest gold coin in the U.S. portfolio and shows little sign of wear. Several beautiful necklaces will be featured in the auction as well, including two squash blossom necklaces (Lots #284 & 285). 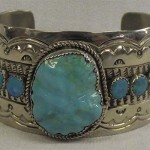 Both pieces are Sterling Silver and Navajo-designed with six stones per side and silverwork leaves winding around the stones. Squash blossoms have significance throughout Native American culture and symbols of them can be found in jewelry, beadwork and textiles. 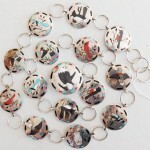 The naja, a Navajo word meaning 'crescent,' is an half circle that serves as the pendant in the necklaces. 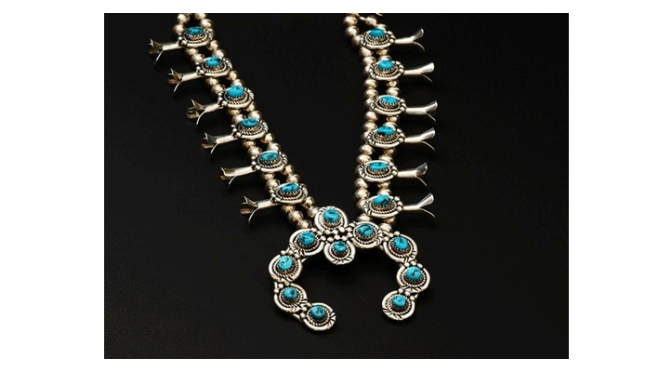 Some believe the Navajo squash blossom necklace has a connection to southwestern agriculture, while others say the design resembles a similar shape that was influenced by the horse bridles of Spaniards who occupied the Southwest. No matter what, these pieces will beautifully accent your collection of authentic Western memorabilia. If you want to round out your collection of Western items, look no further. This auction features several lots of toy guns that are perfect for any collector to inject a little whimsy into their displays. Lot #52 features 20 toy guns of different sizes. 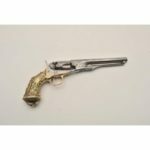 Lot #55 features five Nichols Derringer Small Cap guns made by Nichols Cap Gun Manufacture. These pieces are great to use as decor, to feature in your collection or to play with, like they're intended! 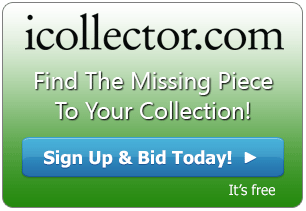 iCollector is your online resource for collectibles of all types. You can find a huge selection of antique auctions all in one place, so check back often for any new additions to the current listing of auctions.